A Meet The Candidates Night will be held at 7 p.m. Sept. 17 at Ekonk Community Grange, 723 Ekonk Hill Road, Sterling. Candidates for attorney general Democrat William Tong and Republican Sue Hatfield, candidates for State Senate 18th District Democrat Bob Stratchen and Republican Heather Somers, candidates for State Legislature 45th District Democrat Steve Mikutel and Republican Brian Lanoue, candidates for judge of probate Democratic Andrea Truppa and Republican Carolanne Rowe and candidate for Registrar of Voters (Sterling) Republican Katherine Hermonot were invited to participate. Each candidate will be given two minutes to present their elevator speech, expressing their platform. 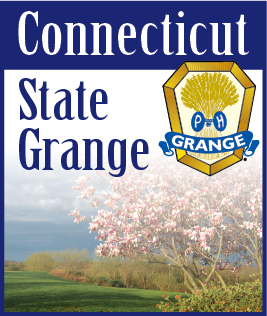 Grange legislative director Russell Gray will serve as moderator. A one-hour Q&A session will follow the introductions.